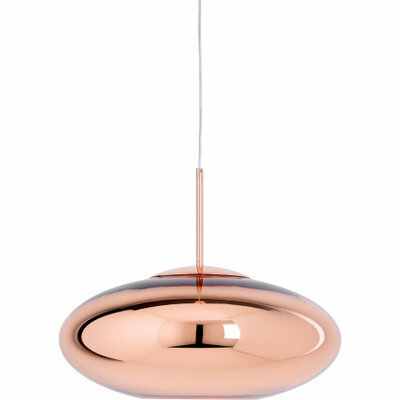 Tom Dixon Melt Pendant organic shaped pendant lamp in variety of colors, 2 sizes and wall version. 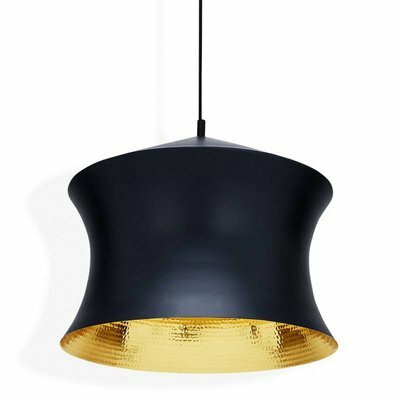 A collaboration between leading British designer Tom Dixon and Swedish design group FRONT, the Tom Dixon Melt Pendant Light has a fluid form and shimmering finish. Creating mesmerising displays of light, the metallised finish of this pendant has a smooth, shiny surface that elegantly reflects exterior lighting - a mirror finish when not in use that turns translucent once light is emitted from its interior or in full daylight. To provide an elegant hang for this unusually formed pendant, a curved copper light fixture with thin, tubular support is joined by a contemporary wire braided cord. 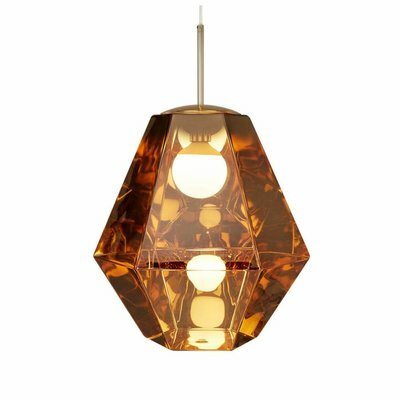 For a striking lighting feature, hang in groups of different coloured pendants from the Melt range above a contemporary dining table or within a large living space. 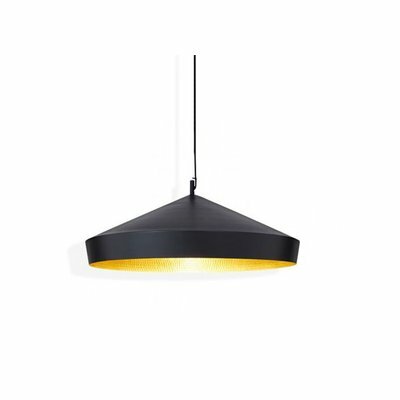 Notes : Pendant flex/cord measures 250cm, adjustable by cutting. Please Note: bulb not included.